Last week's computer woes meant that I couldnt get this video up as soon as I wanted to! I noticed that video content doesnt really work to well on my blog. I dont get many play throughs from this blog which I was surprised as I thought it would be quite poprular! However, I decided to try and use some of the content I make for this website for my Youtube Channel. All the outfits have been featured on this blog before but you can check them out in video form above! Let me kbow what you think about video content on here? I dont even know if its worthwhile or not! Love the leather look top you wore on Friday. Right up my street! I rather just watch your video from your youtube channel! Since im subscribed there it is just easier for me somehow!! Love the outfits!! love your style! the second one is my favourite! so inspiring! I love how your style is so relatable and casual yet funky! Fab! Love all of these! Last chance to enter our giveaway - win a gorgeous skirt from Romwe! It's over in a few hours so head on over to our blog!! I like your videos, there just natural and never over the top! 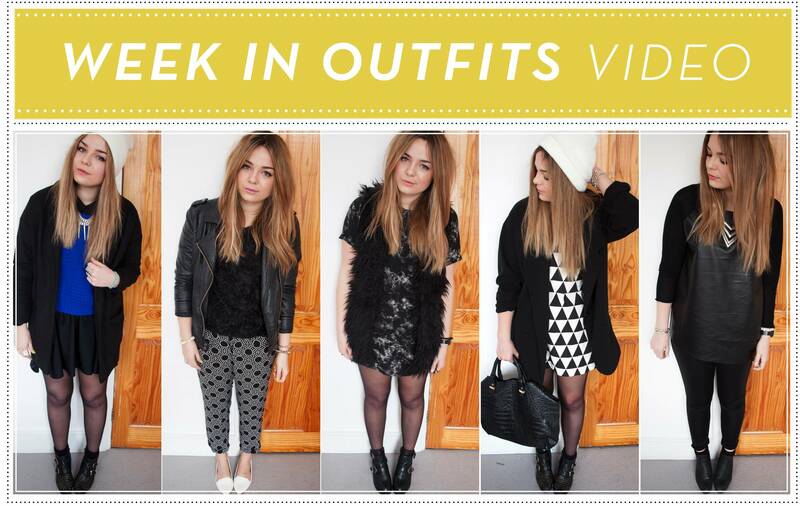 The idea with a weekly outfit video is cool and I always watch your videos via your blog. I love your style lily! I watch your videos and read your blog, but I never click through to the videos from your blog. I just watch them via my Youtube subscriptions. I think you posting them on here reminds me to watch them which is helpful.